Overview : Easy to read flight board. Open menu to switch from departures to arrivals. The app will find out the nearest large airport against your position. 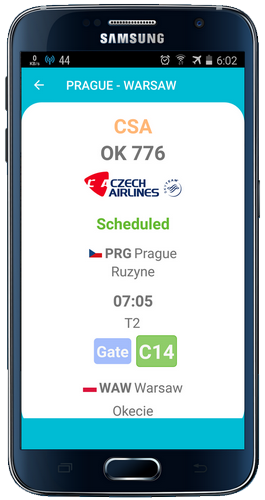 In departures mode, it will display the flight board with the upcoming departures : you can check out at a glance the departure gate of your flight. 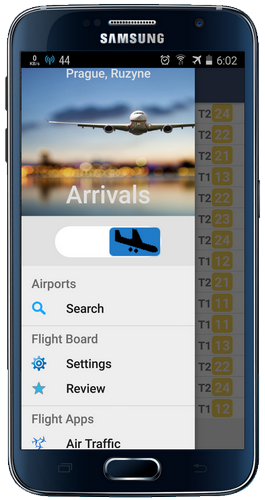 If you are to pick up relatives, switch to 'arrivals' mode to check actual arrival time and terminal. As passenger you may also check the baggage claim area.